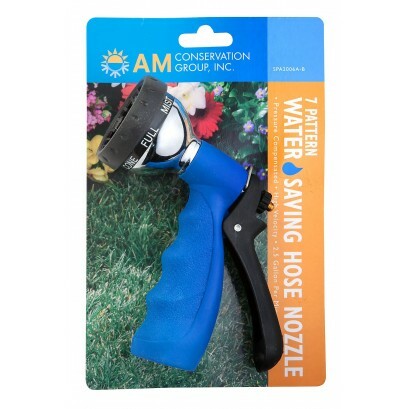 This heavy-duty Deluxe Seven Spray Hose Nozzle features a heavy-duty, durable metal body with a cushioned dial ring and grip for long life. Seven water saving spray settings that range from full force to a water saving mist enabling more water efficiency, with less water waste. Pressure compensated for consistent water savings regardless of water pressure.